TreeView - Works like a filter. To be released this week. GaDaBaMa 2.2 will be the last version for FSD2.2. 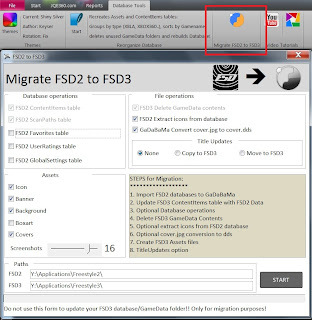 It is not compatible with F3 BUT it includes a function to migrate from FSD2 to F3. There is also a function to create assets files for F3. A fully compatible version for F3 will follow after this release. 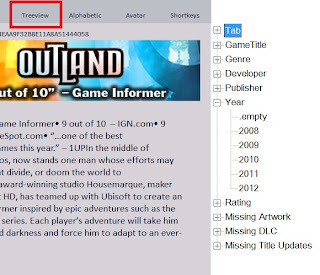 almost too good to be true, good work mate! Soon you'll be able to experience it yourself. Although I highly recommend to migrate with a USB 3.0 stick or connecting the Xbox 360 HDD directly to the PC. I did it over Samba just to be sure that it would work, but it took ages! The last tutorial video shows how easy it is. 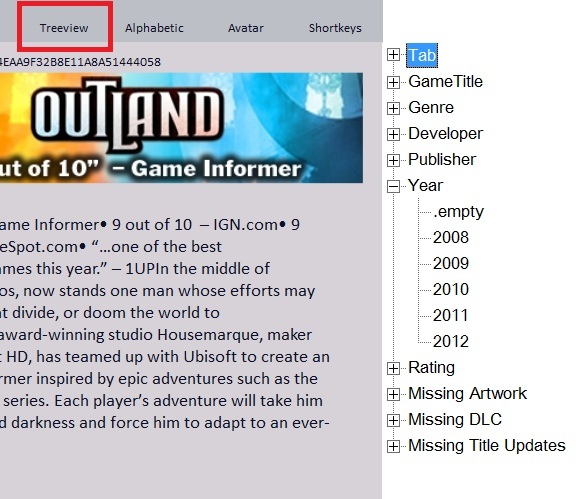 If you haven't downloaded any fullcovers (from JQE360.com) yet, you can do it in the meantime. 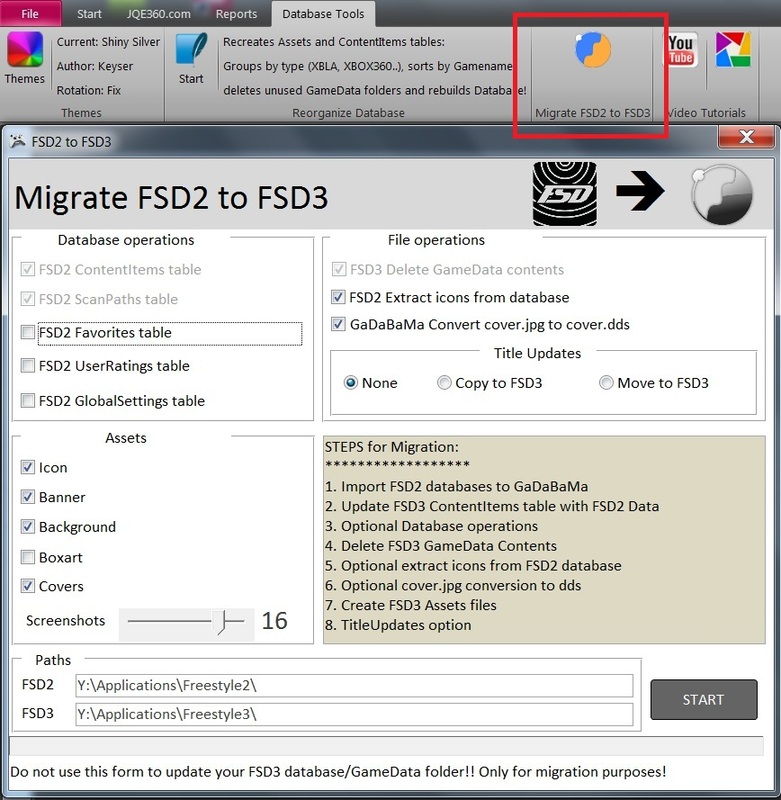 The migration function will take care of the conversion to dds. New functions for GaDaBaMa 3.0, coming soon!